Slovenia is a small country with a huge attraction. It is located somewhere between Croatia, Hungary, Italy and Austria, right in the middle of Central Europe. The country is essentially a tourism magnet and we are able to reach it using all kinds of transport. 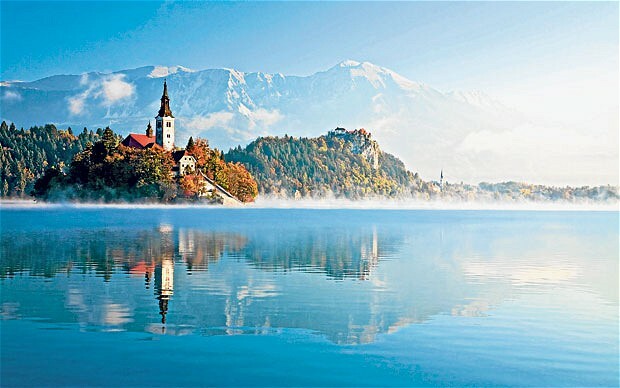 Slovenia allows us to spend a great time on various sun-soaked beaches, swim in the Adriatic Sea, admire lively towns, relax in thermal spas and enjoy the wonderful Alps peaks. In Slovenia, we could reach the Julian Alps, which the sunny side of the mountains. It is essentially one of the prettiest parts of Europe, where travellers can go fishing, kayaking, mountain biking and hiking. There’s the Triglav national park in the area, known for its pristine animal and plant collections, as well as thundering waterfalls and majestic peaks. In the areas, there are also some crystal-clear lakes, such as Bohinj and Bled. The Soca river with its emerald water should rule any water-activity enthusiasts. There are marvellous villas and splendid hotels in the area. Many travellers prefer to have ski-related activities and ski centers in Slovenia are known for their family suitability, fair prices and high safety. The most famous ski center in the country is Kranjska Gora and annual cup is held regularly. It is known for its 30km of medium difficulty ski runs, which are mostly family friendly. There 18 ski lifts, studio apartments and modern hotels that could support many travellers. There are also a large number of farms and private rooms where people could experience the hospitality of Slovenians. The country shares nearly 50km long of Adriatic shores, located between Croatia and Italy. Despite its relatively narrow stretch of coast, it has among the best tourism infrastructure in the Adriatic. Portotz is known for its typical beach flair, entertainment centers and chic ambience. The town also has spa and bathing resort that offers any demanding guest a proper relaxation. It was actually a popular coastal retreat during the era of Austrian-Hungarian monarchy. Postojna offers an international reputation for its subterranean world-class attraction. Millions of tourists visit the nearly 20km-long cave system, with 3.5 km for electric train and 5.2 km designed for tourists. It has a huge concert hall that supports 10,000 people. Nearby, there is the Skocjanske Caves Park, which offers unusual flora and historical museums. Ljublana is the popular capital of Slovenia and it offers numerous cultural and modern attractions. Like any capital, we also get lively entertainment scenes, restaurants and shopping centers. Buildings in Ljublana have a combination of baroque and Art Nouveau design. The famous architect, Joze Plecnik, has left its mark throughout the city. Travelling in Slovenia definitely feels easier because Euro is already used as legal currency and it satisfies any condition, related to political and economic stability. This eliminates the need to deal with money changer industry, which could be ridden with scams as we have seen in many countries. In general, Slovenia is a wonderful small Balkan country located in the Central Europe.